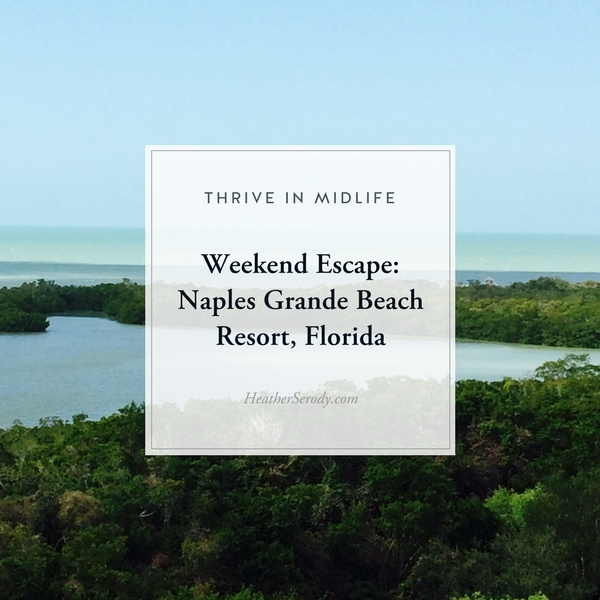 We took advantage of the long four-day weekend and road-tripped over to the west coast of Florida to stay at the former Waldorf Astoria Naples; which has now been renamed The Naples Grande Beach Resort. I love the slower pace of the west coast. 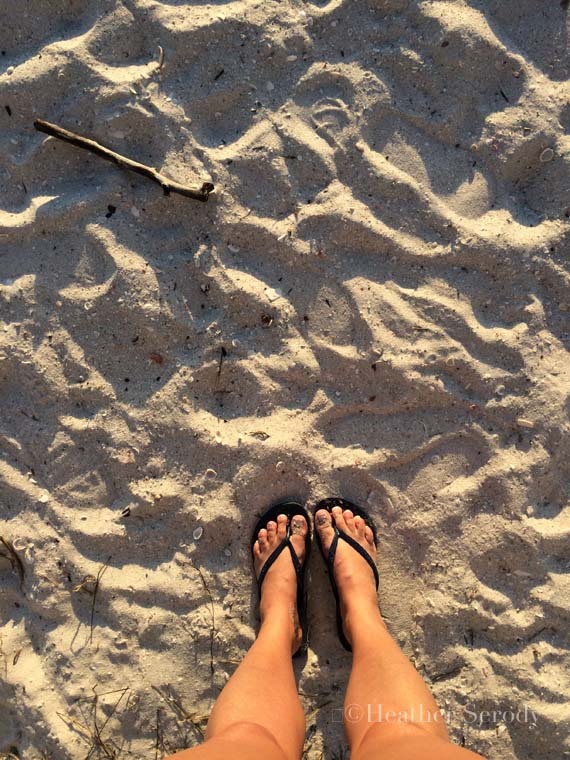 The beach sand is more finely textured and feels like talcum powder. There are tons of seashells here for collecting. Why don't we have seashells on the East side?? All this makes the West coast of Florida feel like a completely different state to me. 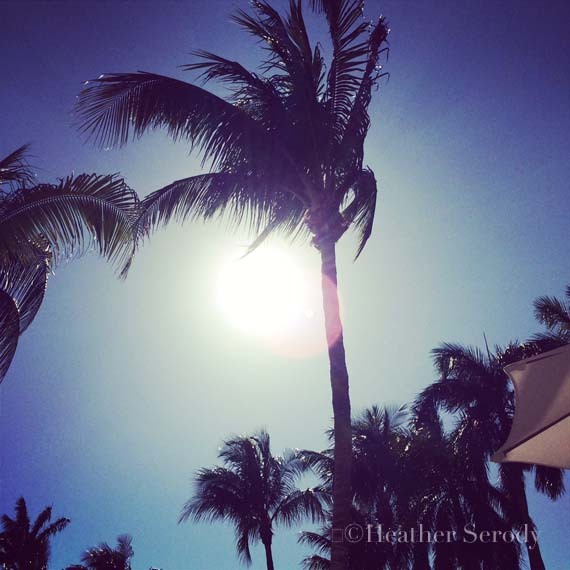 Would you like to see a few photos? Naples lies due west of Fort Lauderdale. 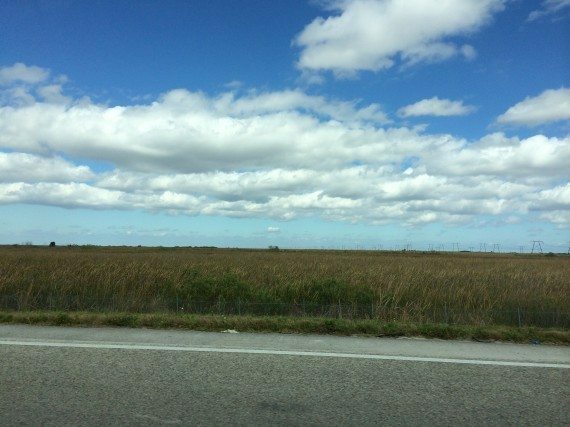 You take Alligator Alley (I-75) about 1.5 hours through the Everglades; where the sky is wide and the you can see the river of grass. The view from our balcony was pristine. That's the great part about the West Coast – it's not over-built like Ft. Lauderdale & Miami. My view from the Mangrove pool deck. That rock formation on the left is actually the water slide. It's tons of fun – I went down many times myself; with and without my kids. You really can't overestimate the fun of a good water slide! 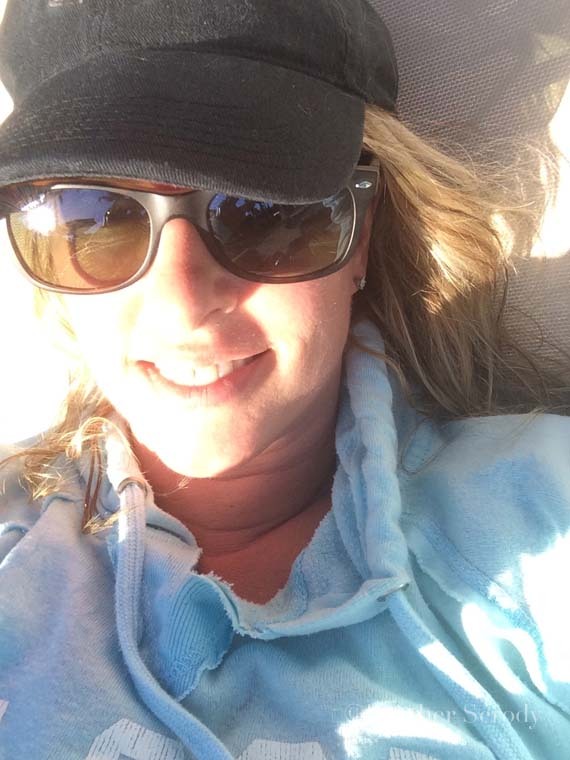 The air was a little chilly for me, but they keep the pool temperature at 82 degrees. The boys stayed in all day. Bliss! 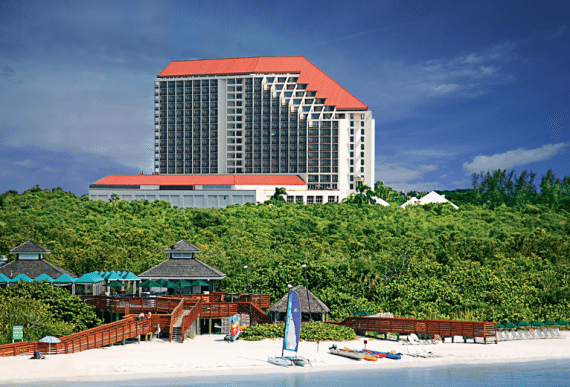 If waterslides and kids aren't your thing; they have three other pools at the resort; plus swanky cabanas; and a full beach bar with a lunch menu. But, I don't know how the other pools were because I never moved from my spot. 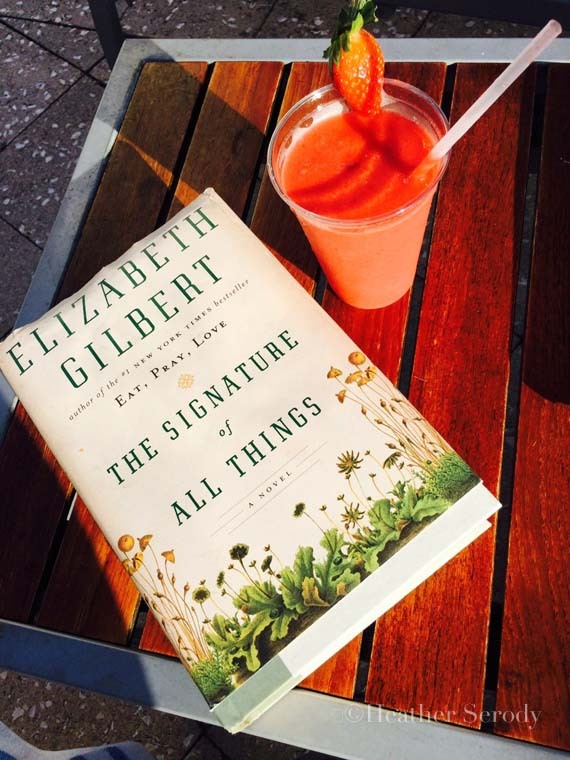 My kids enjoyed smoothies; we had lunch, and I read my book club pick for this month. 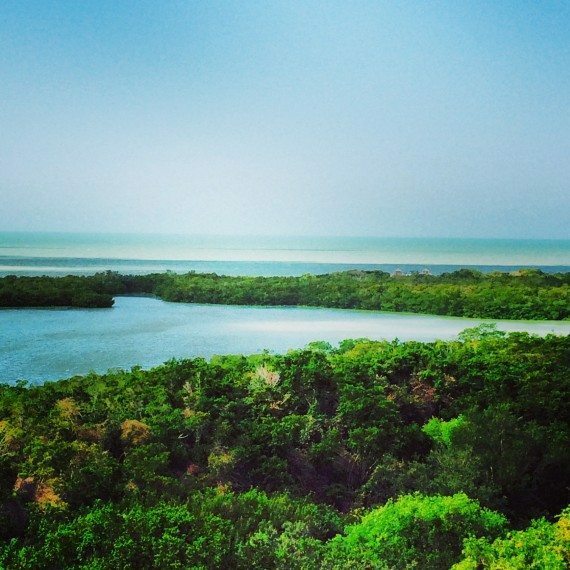 This part of the coast has lots of mangroves between the resort and their patch of beach, so there is a network of raised boardwalks to get you over there – there are no roads! To make things easier, the resort keeps a small army of golf carts ready to whisk you over to the beach in about 2 minutes, but I preferred the 15-20 minute sunset walk. 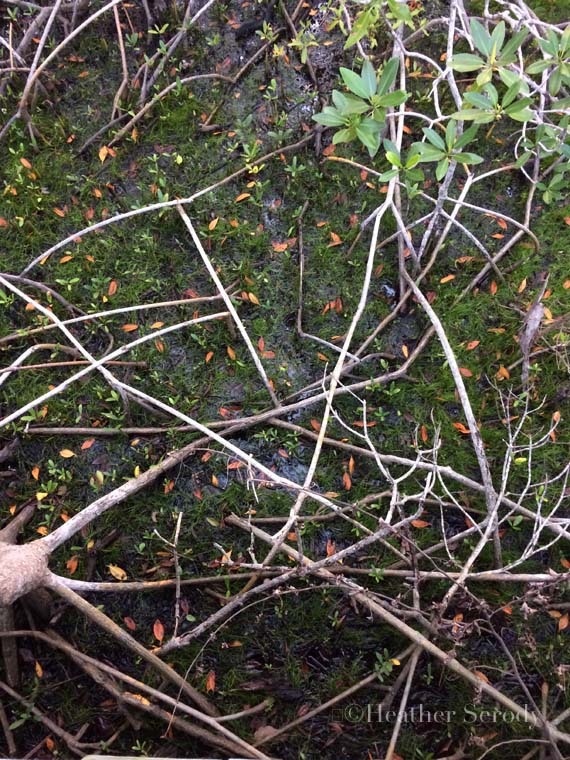 Looking down from the boardwalk above. 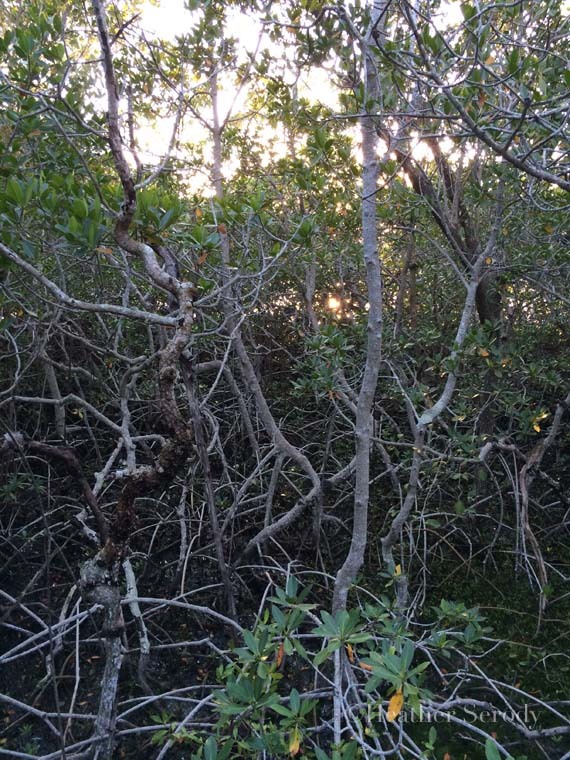 I had the company of songbirds, a setting sun through the tangle of mangroves, and a raccoon nested up in the trees. Can you find her? The only drawback to our stay was that the on-site restaurant, Aura felt way too fancy for our kids. The food was so delicious, though! I had sea bass, and the Captain had scallops and pork belly. Our room was spacious and clean; not Four Seasons pristine, but very nice. 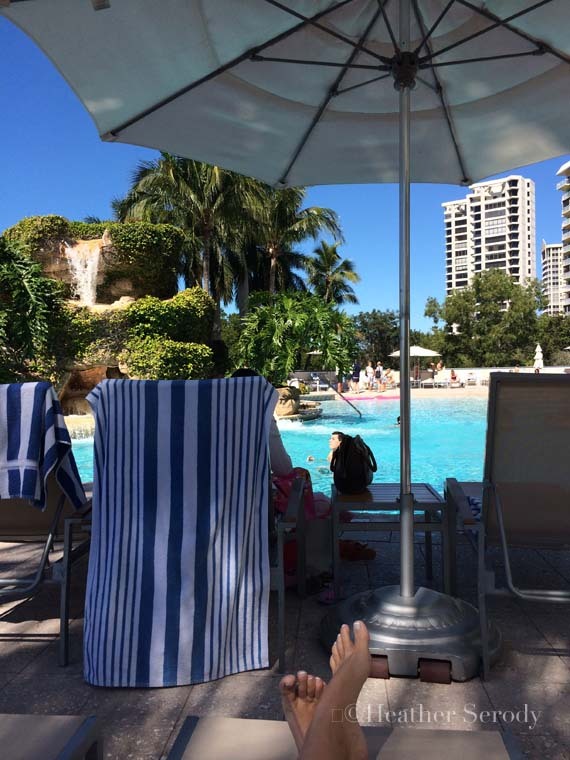 I'd recommend the Waldorf Astoria Naples if you have kids under 13 years old, love to sit by the pool, and have a car to get out and explore all the Family-style restaurant options Naples has to offer. It's also a great place to get married — have a look. So that was what those pictures on Instagram were from. That looks so fabulous. Although, I wouldn’t know Four Seasons swank. Not yet. There’s a holiday Inn in Ocean City, Maryland that has a water slide and it the only place we stay when we go because…hours of fun to conk ’em out later.